Student dependency status is determined by the U.S. Department of Education based on your responses to the Student Dependency Status of the FAFSA. To appeal your dependency status, you must clearly demonstrate an adverse family situation in order for us to consider you independent for financial aid purposes. This is called a dependency override, and is considered on a case-by-case basis. According to U.S. Department of Education guidelines, the following conditions do not qualify as unusual circumstances. Complete and submit a FAFSA or CA Dream Application(opens in new window) online. Complete and submit the CSU, Chico Dependency Status Appeal(opens in new window), which may be downloaded from our website. Make sure all relevant documentation is attached. Complete and submit a FAFSA or CA Dream Application(opens in new window) online. Under Your Dependency Status section, select I am unable to provide parental information and continue the process until you have completely submitted your FAFSA or CA Dream Application. Your FAFSA or CA Dream Application will be incomplete, an EFC will not be calculated and you will not be awarded financial aid at this time. Complete and submit the CSU, Chico Dependency Status Appeal (PDF), which may be downloaded from our website. Make sure all relevant documentation is attached. Select the correct appeal form for the appropriate year. Students filing a 2018-2019 FAFSA or CA Dream Application should use the 2018-2019 Dependency Status Appeal form. If your appeal is approved, we will notify you and submit a correction to the Central Processing System with all appropriate dependency override codes. Your financial aid will be packaged based on independent status. If your appeal is not approved, we will notify you about our decision. In order to receive a financial aid package, you MUST then provide parent financial information and signatures. Appeal forms for the 2018-2019 academic year will be available in August 2018. The deadline to submit an appeal for students enrolled for the 2018-2019 academic year is April 1, 2019. Students enrolled for the Fall 2018 semester only must submit their appeal no later than November 1, 2018. Financial aid eligibility may be reconsidered based on new financial information not reflected on your FAFSA or CA Dream Application. If you or your parents (if applicable) will have a significant reduction in income due to divorce, death, or loss of employment for two months or more, if you have substantial medical or dental expenses, or if you have other exceptional circumstances, you may submit an exceptional circumstances appeal. Budget increase for cost of computer. No appeal is necessary. Click on link(opens in new window)for information on computer budget adjustment. If you feel your circumstances meet the criteria for an appeal, complete and submit the appropriate exceptional circumstances appeal(s). Students filing a 2018-2019 FAFSA or CA Dream Application must use the 2018-2019 Exceptional Circumstances Appeal form. Include only the appeal form, information requested to support your appeal, and documentation appropriate to the appeal category that demonstrates your exceptional need. Do not forget your personal statement. Incomplete appeals will be returned to the student. The deadline to submit an appeal for students who are enrolled Fall semester only is November 1. Students enrolled for the academic year or Spring semester only must submit their appeal by April 1. PLEASE NOTE: Submitting unnecessary or redundant information will delay review of your file. We recommend that you accept your initial award offer and plan to cover preliminary costs from your current aid package, employment, and family resources. An advisor will review your appeal and notify you by mail of the outcome. Because the financial aid workload is heaviest during the summer months, appeals are usually evaluated beginning October 1. All appeals will be reviewed in date order of receipt. Processing time may take until the end of the fall semester. The Exceptional Circumstances Appeal – Income Reduction includes options for reduction in parent income, student income, and student/spouse income. If there are other special circumstances not covered by the topics below that have had a serious negative financial impact on your family, use the Income Reduction Appeal, check “Other,” and provide a personal statement and supporting documentation. To meet CSU, Chico Satisfactory Academic Progress requirements for financial aid, you are required to maintain a minimum cumulative GPA as set forth in the CSU, Chico Satisfactory Academic Progress (SAP) policy and you are required to make progress toward completing your graduation requirements at an acceptable rate or PACE. PACE is equal to cumulative units completed divided by cumulative units attempted. In order to make acceptable progress, your PACE must be 67% or higher. Students who did not meet satisfactory academic progress requirements are ineligible for further financial aid at CSU, Chico. See Satisfactory Academic Progress. If you have extenuating circumstances that affected your ability to maintain the required minimum GPA and/or cumulative PACE, and would like to be considered for financial aid funding, please print, complete, and submit an insufficient units appeal with all required documents attached. Appeals must be submitted by the census date (fourth week of school) in order to be reinstated for aid during that term. Deadline to submit appeal for Fall 2018 is September 21, 2018; deadline to submit appeal for Spring 2019 is February 15, 2019. You may also schedule an appointment with a financial aid advisor and bring the completed appeal with you. After May 15 you can print and complete a 2018/19 Satisfactory Academic Progress Appeal found on our Forms page. To meet federal and state satisfactory academic progress requirements, you are expected to complete a degree program within a maximum allowable time frame. 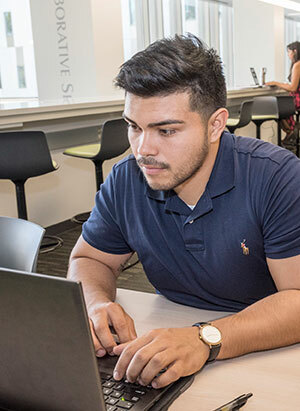 Undergraduates who have attempted 180 units, and post-baccalaureate students who have attempted 60 post-baccalaureate units are ineligible for all types of financial aid including grants, Work–Study, and loans. If you have reached a unit limit and would like to be considered for financial aid funding, please print, complete, and submit a maximum units appeal. Appeals must be submitted by the census date (fourth week of school) in order to be reinstated for aid during that term. Deadline to submit appeal for Fall 2018 is September 21, 2018; deadline to submit appeal for Spring 2019 is February 15, 2019. After May 15 you can print and complete a 2018/19 Maximum Units Appeal found on our Forms page.